Another day of holiday baking, another kind of cookie! 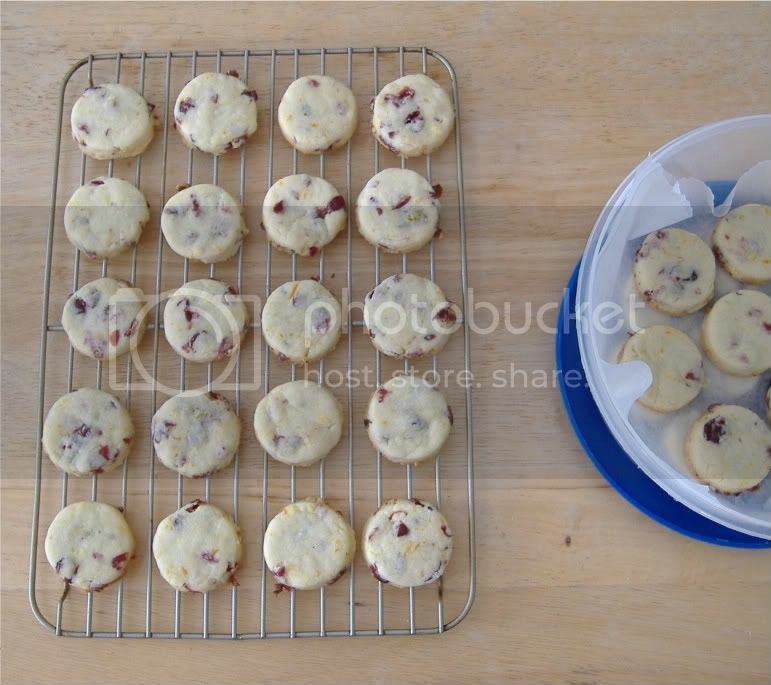 I'm not a huge fan of plain shortbread cookies, so I made some Cranberry Orange Shortbread from the wonderful cookbook Anyone Can Cook by Better Homes and Gardens. You can also find the recipe online here. 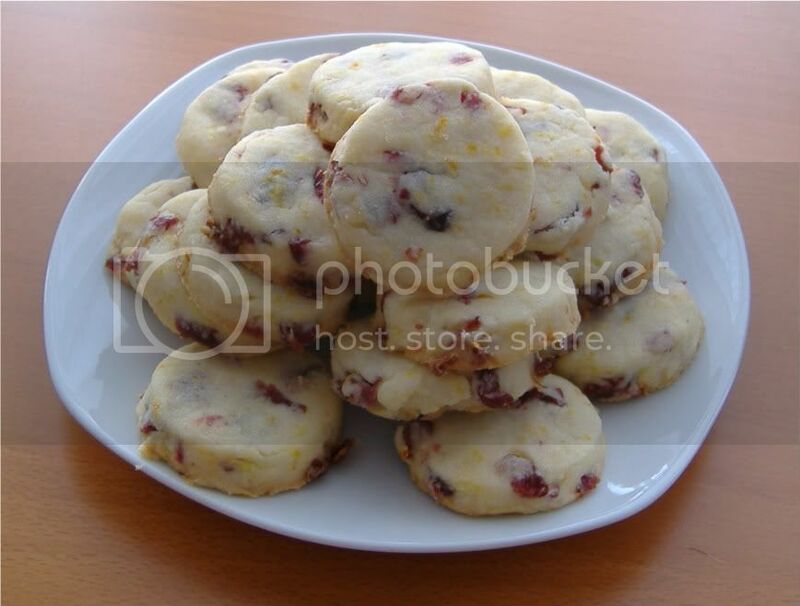 Following the recipe there are several variations to create various flavours of cookies, I made the Cranberry Oranges ones and they turned out fantastic! I had to double the recipe and, no worries, the cookies were still perfect. I like to make several different kinds of cookies as gifts over the holidays, but to save some time I bake then freeze the cookies until it's time to give. It's only a few days now until Christmas and I know some of us are still scrambling for gifts, so baking some cookies is a great option! You an go all out and make fancy cookies or keep it simple, but I dare you to show me a person who doesn't enjoy a good cookie. In addition to these, I'm also making Old Fashion Sugar Cookies, Coconut Macaroons, White Chocolate Biscotti, & a surprise treat! Happy holiday baking!